Viral diseases transmitted by mosquitoes can be very serious. According to international health organizations, these diseases are an increasing threat to human health as the environment changes and globalization increases. Both dengue fever and the chikungunya virus are transmitted by Aedes Aegypti mosquitoes, which are found in most countries in the Americas. According to the Pan American Health Organization, there is no vaccine for Chikungunya. The only effective means of prevention is to protect individuals against mosquito bites. Check your house and yard for water-filled containers and throw away or recycle unwanted containers that collect standing water. Create a DIY mosquito trap for your home! Turn over or store under a roof any large containers that collect water, like boats, buckets, tires, and garbage cans. Clean animal drinking bowls weekly to wash away eggs. Dump the water from overflow dishes under flower pots. Cover rain barrels with screening so mosquitoes cannot enter. Educate yourself and your community about the risks of mosquito-borne illness. This list is excerpted from our custom curriculum on climate change adaptation and disaster risk reduction, created for PADF's Resilient Livelihoods Program in St. Vincent and the Grenadines. Click here to download the instructions as a .pdf file. Are the dog days of summer bringing you down? Warm weather brings mosquitoes, which can transmit diseases like Chikungunya. PADF is training young people in the Caribbean to be more prepared for potential environmental hazards and natural disasters. Read on to learn more about Chikungunya and for instructions on a simple way to reduce your risk. The virus was first described during an outbreak in southern Tanzania in 1952 and has now been identified in nearly 40 countries in Asia, Africa, Europe, and, most recently, the Americas. The mosquito bite transmits a virus that causes fever and joint pain. To reduce your exposure to Chikungunya-carrying mosquitoes, try building PADF's “do-it-yourself” mosquito trap. 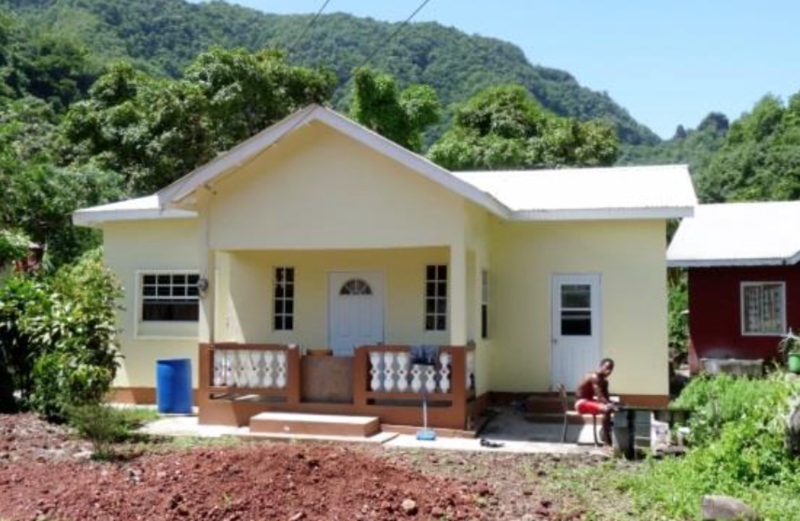 This DIY project is excerpted from our custom curriculum on climate change adaptation and disaster risk reduction, created for PADF's Resilient Livelihoods Program in St. Vincent and the Grenadines. Knowledge is power, and when you are aware of risks, you are better able to protect yourself and respond if disaster strikes. Give the project a try and let us know how it goes! The island of Bequia is known for its white sand beaches and idyllic blue waters. But the effects of climate change including rising sea levels and severe weather patterns are putting the island’s treasured resources in danger. One of the most popular beaches in Lower Bay has seen a lot of erosion. Natalia Bhajan has seen the effects of climate change on her community of Georgetown, St. Vincent and the Grenadines. Here's what she's doing about it. In December 2013, the Caribbean islands of St. Vincent and the Grenadines received an estimated 15 inches of rain in 24 hours. The resulting floods caused millions of dollars in damage and killed at least eight people. The Resilience Livelihoods project is being implemented in St Vincent and the Grenadines at a cost of US$300,000, and is being facilitated through the Embassy of the Republic of China on Taiwan. PADF has launched an innovative 16-month project that engages youth to reduce risks associated with climate change and natural hazards, while providing them with opportunities to make their communities more sustainable.